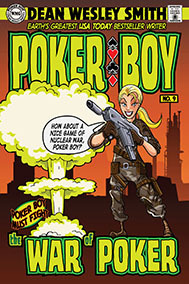 Poker Boy somehow finds himself facing an imitation of his girlfriend, Patty Ledgerwood. Within a fraction of a second he somehow saves himself and maybe the world from another war. Or maybe he helps set up a new war.